Online Only at JCPenney.com - Extra 25% off when you spend $100 or more, Extra 20% off with you JCPenney Credit Card or 15% off with any form of payments with code FALLSALE at checkout. That makes this *POPULAR* Cooks 6 Quart Fast Pot Multi-Cooker $42.49 (Retail $140). Cook your favorite meals up to 70% faster than conventional methods. 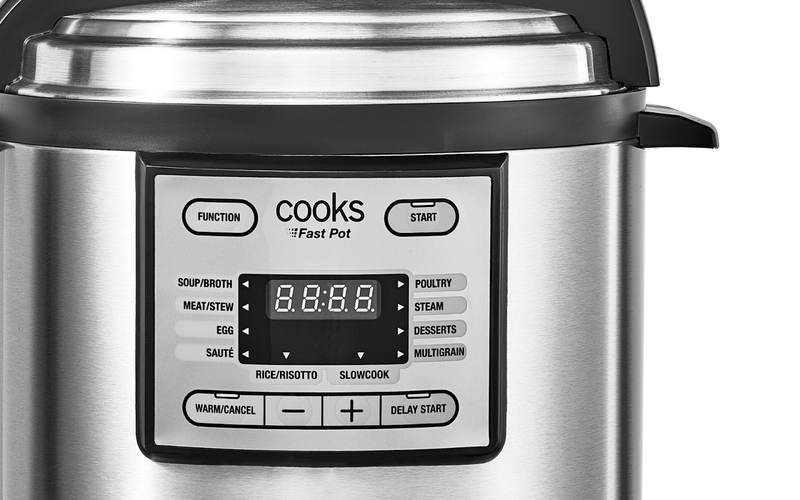 The Cooks 6 Quart Fast Pot Multi Cooker has 10 one-touch digital functions allowing you to sauté, pressure cook or slow cook everything from meat, fish and poultry to rice and desserts. Pressure release valve, safety valve and auto-locking lid make the unit very safe to use. Flavor and moisture are locked in for perfect results every time.